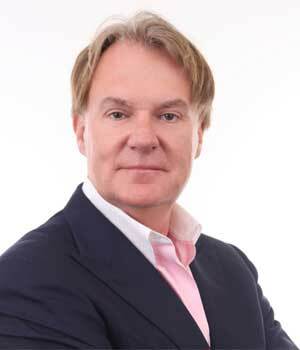 Aveteran of enterprise software with over two decades of SaaS experience, Kirk Krappe is co-founder, chairman and CEO of Apttus, the category-defining Quote-to-Cash (QTC) software company. A term coined by Krappe, Quote-to-Cash signifies the end-to-end sales process starting from a buyer’s intent to purchase, all the way to the collection of revenue. A two-time Ernst & Young Entrepreneur of the Year Finalist and Forbes 2015 Unicorn Class – Entrepreneur of the Year, Krappe has been the driving force behind Apttus consistent growth since its 2006 founding. Additionally, according to Morgan Stanley, while there are several “Unicorn” founders in Silicon Valley today, Krappe is the only one in the space to have hit this valuation milestone while still remaining CEO. Apttus decade-long leadership of the Quote-to-Cash industry uniquely qualifies it to help enterprises automate and improve business processes. Utilizing a patented combination of SaaS-based applications, Apttus offers the industry’s only Intelligent Cloud Platform, maximizing revenue and business outcomes for companies of all sizes, including 100 of the Fortune 500. Enhanced by Machine Learning and Max, Apttus offers the market’s most comprehensive QTC footprint, spanning solutions for: Configure Price Quote(CPQ), Contract Lifecycle Management(CLM), Revenue Management, E-Commerce, Analytics and Salesforce/Microsoft integration (X-Author). With more than 600 enterprise customers and over 1 million users worldwide, Apttus is the industry's fastest-growing provider of QTC solutions. Under Krappe’s leadership, Apttus pioneered and defined the Quote-to-Cash software space and today, the company is a leader in the supporting segments, that combined, make up the QTC process. Now with the advent of Apttus Max, the world’s first and only QTC intelligence agent, the company has redefined this market yet again. Max’s creation was entirely driven by Krappe’s vision, as he believed ultimately Artificial Intelligence (AI) and machine learning driven sales advancement tools would become common place. As a result, he facilitated a strategic partnership with Microsoft and in leveraging its engineering resources, and working alongside some of the largest enterprises in the world, Max was successfully brought to life.
" 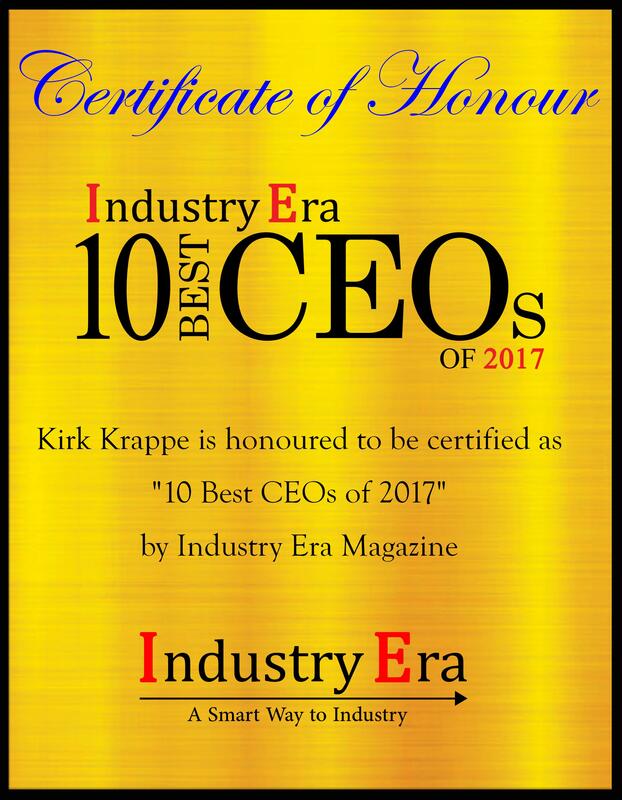 As CEO, I always do my best to successfully inspire my employees to authentically believe in the company’s mission – Tier One Everything "
After creating analyst recognized solutions in Quote-to-Cash, Krappe and Apttus have once again pushed the software industry forward with its advancements in applied AI, developing modern solutions that drive tangible results. 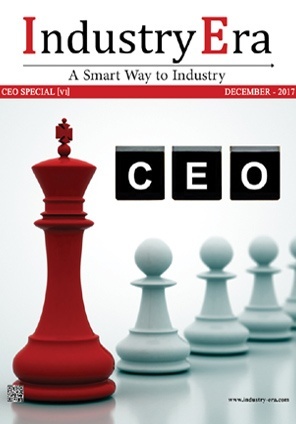 “Apttus brings the future of Artificial Intelligence and Machine Learning to a business audience, by pioneering new and cutting-edge ways to interact with business software: automating selling strategies and incentives that adjust in real-time and positively impact revenue,” says Krappe. One of Apttus enterprise customers, Thomson Reuters Legal, a $3.4Bn division of its parent company, has experienced tremendous gains as a result of deploying Apttus award winning solutions. After modernizing the department’s entire order capture strategy, Thomson Reuters better enabled its global sales force, and turned its customer experience into something more positive. Today as a result, Thomson Reuters is in the also in the process of rolling out Apttus to the rest of the divisions within legal, and is currently deploying it in both its Finance/Risk business, as well as its Tax business. Krappe’s vision and dedication have truly solidified the Quote-to-Cash (QTC) category and as the author of the Amazon best-selling book “Intelligent Quote-to-Cash: The Outcome-Based Approach to Transforming Your Business,” Krappe is assisting users in understanding why Quote-to-Cash is the most valuable part of business. Fostering a world class mentality internally and externally also plays a huge part in Apttus booming success, and Krappe is 100% dedicated to creating a diverse work environment with employees of various backgrounds. Born in South Africa and having lived in the UK, Germany and France, Krappe is a huge believer in giving employees from all walks of life a fair opportunity in the workplace and is a strong supporter of women, with Apttus being known for having the #1 ratio of female to male employees in a tech company in the Silicon Valley. “As CEO, I always do my best to successfully inspire my employees to authentically believe in the company’s mission – Tier One Everything,” concludes Krappe. Undoubtedly Kirk’s global perspective has reinforced his conviction that the best team is one that leverages all types of people, as long as they are dedicated to success. Apttus provides Quote-to-Cash solutions, including Configure-Price-Quote(CPQ), Contract Management, E-Commerce, and Revenue Management.